As populations expand and the number of cars on the road increases, the need for durable, energy- efficient vehicles is on the rise. To reconcile reduced weight with structural stability, automakers are turning to adhesives to accommodate the demands of an ever-changing market. This lightweighting trend has produced some of the top vehicles in the world, and automotive technology continues to advance beyond what was originally possible, with more advanced features and lighter materials. A report from TechSci Research indicated the move to lightweight vehicles will fuel growth in the adhesives market for years to come. To create the cars of the future, manufacturers have to use materials like aluminum, plastic and composites to lower weight thresholds, and to do so, must deal with the issue of dissimilar substrates. "In the future, an increased number of cars on the road will greatly impact automotive adhesive demand." These substrates must be combined and bonded in some fashion to make lightweight cars viable. And rather than use metal screws, nails or rivets - which only add weight - adhesives, whether solvent-based, polyurethane, acrylic, epoxy or other, are much more efficient to use because of their ability to conjoin composites while also increasing fuel economy. Because lightweight vehicles are inherently more resource-efficient than their heavier counterparts, their promotion in conjunction with the rise of electric vehicles is a timely development that could be a sign of things to come. When considering that electric cars don't rely on traditional sources of energy, such as crude oil, these vehicles have higher levels of energy efficiency. And if this technology is combined with new trends in lightweighting, cars could potentially be revolutionized both internally and externally, from the engine to the frame itself. As such, the report noted the U.S. government is looking to increase the number of electric cars on the road to over 1 million in the next year, meaning automotive adhesives will see greater demand. And while manufacturers are pushing new electric products, they may look toward lightweighting as another method of improving efficiency. Additionally, Statista noted the number of cars being sold worldwide is roughly twice as high as it was in the 1990s, meaning there is a large market for these models to have a huge impact. "The necessary requirement for manufacturers to abide by governmental regulations on fuel economy and weight standards, coupled with tax redemptions on electric vehicles, is expected to positively influence the market for light vehicles, thereby boosting market size for automotive adhesives over the next five years," said Karan Chechi, research director at TechSci Research. The advantages of these adhesives are numerous. For example, drivers can save money on fuel costs because their cars don't require as much gas to power. Also, nations as a whole can have a positive impact on the environment by eliminating excess carbon emissions. Adhesives offer greater benefits to manufacturers and drivers by making vehicles lighter. The need for individual applications will place a large focus on the types of adhesives that work best under extreme conditions, such as high temperatures and pressure levels, because manufacturers will be testing new adhesive products frequently in the future. More so than just bonding metals together, these adhesives will have to perform above industry standards. Once these mechanisms become more widespread, the selection of adhesives will be crucial. In regards to moving a large mass of metal - a vehicle - a number of factors must be taken into consideration, including aerodynamics, metallurgy and chemistry, The Wall Street Journal noted. Transporting a vehicle at high speeds requires less energy when using lighter materials. Because the traditional materials used for car manufacturing are inherently heavier - steel and aluminum - more companies are opting for carbon fiber frames. Further, welding two metals together isn't always the easiest or most cost-efficient method of bonding due to the nature of the substances and surfaces involved. Carbon fiber, on the other hand, is more functional when constructed with glue, rather than screws. In essence, car materials and their adhesives are collectively being made lighter, with technical research continuing to create incentives for the automotive industry to adopt new models of binding. However, the largest determinant of adhesive demand may be consumers themselves. As billions of drivers around the world become more knowledgeable of the products they are purchasing and how they are built, consumers may utilize their collective purchasing power to alter manufacturing capabilities sooner rather than later. Even though lightweight cars have only become available to the public in recent years, higher levels of economic expansion and reduced fuel costs could keep more money in the pockets of everyday consumers. And with more money comes the ability to shop around for better transportation options - even if they're pricier - including lightweight vehicles. Finding a company you trust to supply these products will be vital to the overall performance of vehicles in the future. 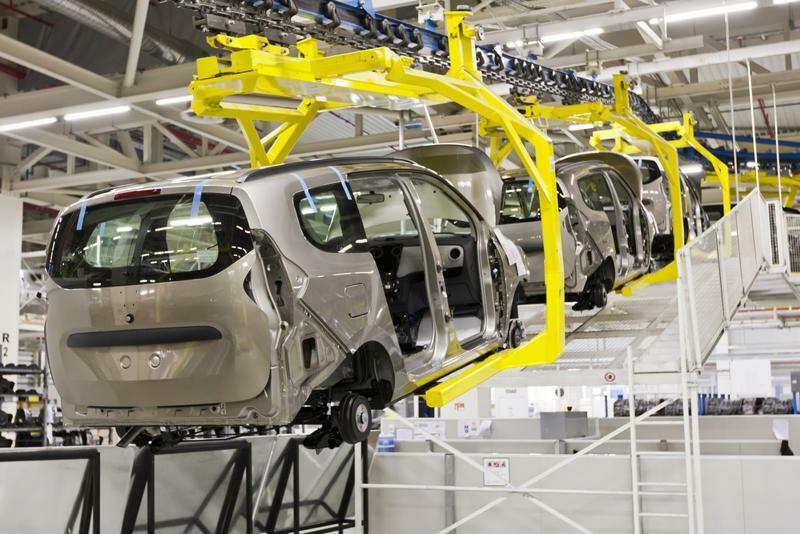 Making note of these large-scale changes in the automotive market will help determine which adhesives are most useful during the manufacturing process and likely to catch on with consumer tastes while still remaining compliant with industry standards. Check out Gluespec's database for all adhesives solutions.